It’s Valentine’s Day, and the South Bank branch of Pizza Express is packed with an unsettling mix of couples sneaking in a lunch-break date, and groups of children on school trips to the BFI. I’m here to meet and eat with Ezra Collective. Right now, the group have plenty of cause for celebration. In the past couple of years they’ve gone from jazz-head obscurity to being featured in The New York Times and touring the world. 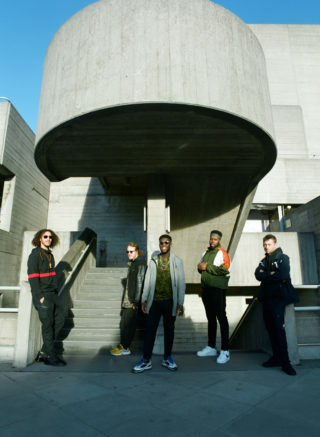 With the help of peers such as Moses Boyd, Nubya Garcia, Kamaal Williams and every project touched by Shabaka Hutchings, Ezra Collective have not only been reviving the London jazz scene, but redefining it also. Today, the band – with the exception of bassist TJ Koleoso – are running late. While we wait, the group’s manager, Amy, takes it upon herself to order seven people’s worth of pizza for the four of us who are here – myself, Amy, TJ and the group’s PR, Ben. The waiter is a little confused but obliging. They take away the rose and special Valentine’s menu from the middle of the table. As the pizzas start to arrive so too do the band’s remaining members: first saxophonist James Mollison, then keys-player Joe Armon-Jones and finally, having been held up in the barbershop for most of his morning, drummer, brother of TJ, and defacto band leader Femi Koleoso. Dylan Jones, the group’s trumpet player, will join them later for our photoshoot. As soon as the group are all together jokes fly and stories are swapped. While they’ve been together as Ezra Collective for almost seven years, every member balances their work in the band with a side project, day job or gig as a touring musician. Joe begins filling his bandmates in on the details of his solo tour, which he’s in the middle of the day we meet. He’s just got back from a date in Dublin, although Ryanair didn’t make the process easy. He’s been awake since 4AM, not that he really went to sleep before then. I start to feel guilty that he’s been forced to spend his one day off with me and a Sloppy Giuseppe. I needn’t worry, though; it soon becomes clear that Joe and all of the group’s members are happy to be here. The day before our interview, the group announced their debut album to the world and shared lead single ‘Quest for Coin’. 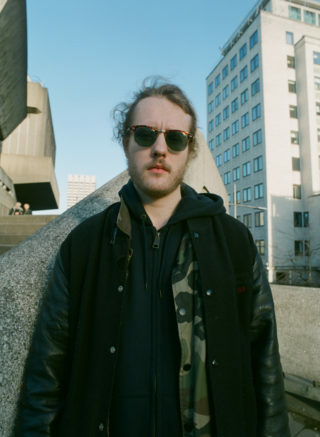 It was premiered as Annie Mac’s ‘Hottest Record in The World’ on Radio One; no small feat for an instrumental jazz track. However, Ezra Collective would probably be in equally high spirits had no one played the single. As the title of that freshly announced album suggests, ‘You Can’t Steal My Joy’ is a record from a cheery and supremely chill bunch. “Everyone has an emotion or feeling that they evoke. For us, there’s an energetic joy,” Femi says of the group’s dynamic. “We’re trying to get people to dance and have the best day of their week at our shows. Some of the happiest moments of my life have been with these bredrins when we’re reasoning together.” When it came time to put together their debut album, he says it “felt natural” for the group to put that energy at the project’s core. The strength of Ezra Collective’s music, then, is also testament to the strength of their friendship. 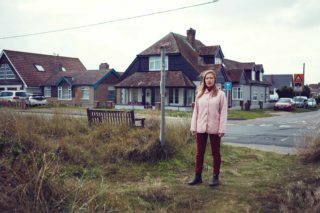 The group met just down the road from where we are today, at Tomorrow’s Warriors, a youth jazz programme run by bassist and all-around British jazz icon Gary Crosby. Having initially come together for a competition to play at Ronnie Scott’s, the band became firm friends, and after a few line-up alterations they haven’t looked back since. “It was essentially a school project we fell in love with,” Femi laughs. As such, the group buzzes with that chemistry that’s unique to school mates. Crammed into a booth, they jostle with one another and pick at the remains of lunch as we talk. Our conversation frequently erupts into fits of laughter, drawing a couple of sideways glances from the kind of couples whose romantic ideal is a Pizza Express within walking distance of Waterloo Station. At one point I look across from me and realise that Joe has been covertly rolling a joint under the table. The three institutions Femi highlights tell you a lot about Ezra Collective. 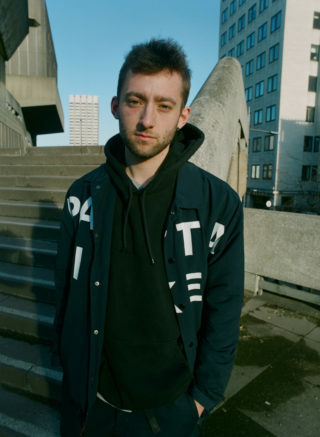 Steam Down, a jam session that takes place in a Caribbean café in Deptford every Wednesday, has been a meeting point for the scene’s best talents, while Fabric and Wireless speak to the heavy influence that both dance and rap music have on Ezra’s sound. 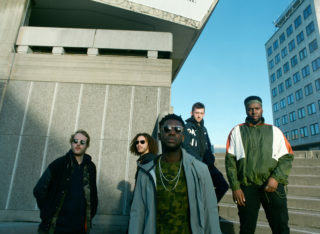 Having either grown up across London or spent a lot of time in the city thanks to Tomorrow’s Warriors, the members of Ezra Collective are as united by their love for grime, soul and hip hop as they are by their passion for jazz. 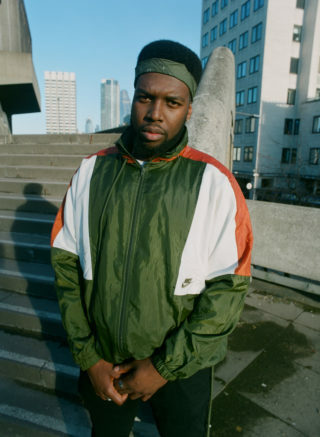 Femi’s first career break came as a live drummer for veteran rapper Pharaoh Monch, and alongside his duties in Ezra he plays in Jorja Smith’s band, touring the world with the singer. On Twitter and Instagram last summer he shared a picture of himself, along with the rest of her band, chilling backstage with Snoop Dogg. 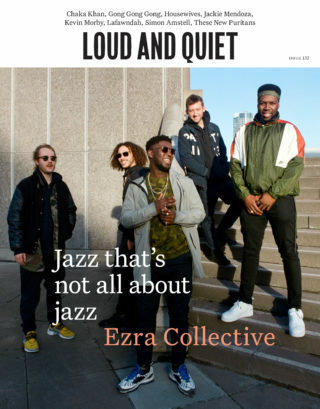 It’s an approach that underpins not just Ezra Collective’s sound but the sound of London’s young jazz scene as a whole. Moses Boyd, a drummer, friend of the band and fellow Tomorrow’s Warriors graduate, has a residency on Radio 1Xtra. 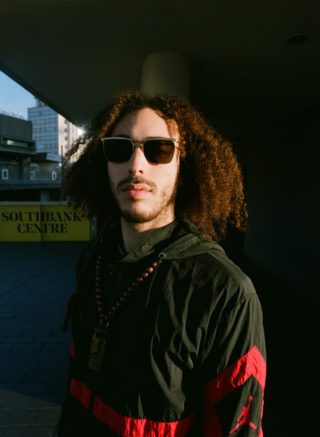 Kamaal Williams teamed up with grime MC Mez for a rework of the Yussef Kamaal track ‘Strings of Light’. Meanwhile, Theon Cross, the tuba player in Sons of Kemet and a respected solo artist in his own right, joined Kano as part of his band for the Made in The Manor tour. Whereas once jazz was seen as stuck-up and over-intellectual, in London, and increasingly further afield, it’s a progressive part of youth culture – increasingly so since Kendrick released ‘To Pimp A Butterfly’ in 2015. 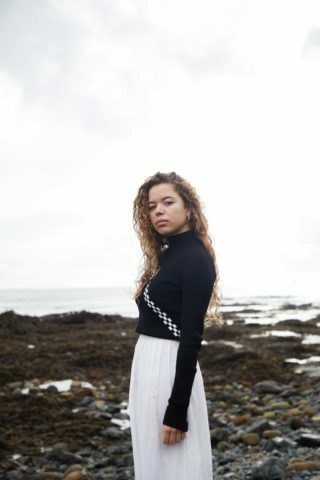 And as they’ve attracted a younger, more open-minded audience, Ezra Collective have been able to become bolder in their experimentations. Fan favourite tracks like ‘Mace Windu Riddim’ or ‘Pure Shade’ fuse intricate playing with an energy that’s instantly recognisable to anyone who’s ever stepped foot in a nightclub. 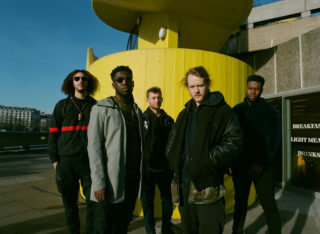 Rather than bombard the listener with dense horn passages or overly complex polyrhythms (something that a band like The Comet is Coming do so well), Ezra Collective prioritise groove. In fact, so danceable is Ezra’s take on jazz that the group’s cover of ‘Space Is the Place’ has become something of a dancefloor smash. “There was one club that played it as their New Year’s Eve track going from 2017 into 2018, they played it at midnight,” Femi says, to his bandmates as much as to me. 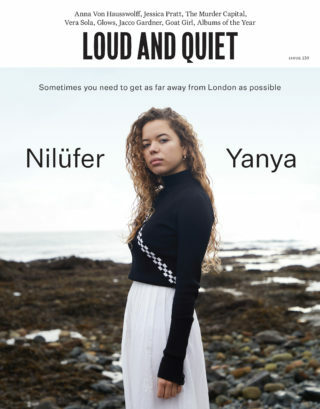 That club, as it turns out, was Dalston’s Café Oto, one of many venues that have become vital spots in the network of London jazz. “That must have been a weird party!” saxophonist James laughs. “Can you imagine the brers that turn up there? Café Oto on New Year’s Eve…” Sometimes even the members of Ezra Collective can’t quite believe that they have people dancing to Sun Ra. On ‘You Can’t Steal My Joy’, the band only improve on that grove-centric approach. In the first three tracks alone they run the gamut from ’90s boom bap through to heavy-stepping reggae. Even when the blistering free-jazz solos of second track ‘Why You Mad?’ are at their peak the band never misses a beat. While the group’s previous EPs, ‘Chapter 7’ and ‘Juan Pablo The Philosopher’, have been essential to their success, ‘You Can’t Steal My Joy’ feels like the first record that truly defines what Ezra Collective is about. Pizzas finished and plates cleared, the waiters start to hover in a way that suggests it’s time for our interview to end. It’s just as well, as Gabriel, Loud And Quiet’s photographer, has been patiently waiting to shoot the group for the last half an hour. Before we’re turfed out for good I ask the group for their favourite moments of Ezra Collective so far. Femi picks their headline show at Ronnie Scott’s; TJ their show at Islington Assembly Hall. As we leave the restaurant and head out onto the concrete plains of the South Bank Centre, James sidles up to me and casually mentions that his favourite moment may actually be the time that Quincy Jones invited the group to perform at his birthday party last year. I try to follow up, searching frantically in my bag for my Dictaphone, but before I can retrieve it he’s ushered into a group photo. The next week, I meet up with Femi and TJ in North London to listen to the test-pressing of ‘You Can’t Steal My Joy’. Blasted at full volume through studio-quality speakers, the record’s energy is undeniable, and its hidden complexities fill the room, demanding constant attention. As soon as the record playback is done, I ask them about Quincy. “We left the festival and went to the business class lounge, bruv,” Femi picks up. “That’s an open bar. So, it started from there. We were a little bit whacked already. We went in, it was Swiss Airways, they give you little chocolates… anyway, we get there… do you remember the hotel blud? !” he shouts, kissing his teeth for emphasis. “This hotel was co-rect! We were like, ‘this is ‘Thriller’ money’. You had a view of Lake Geneva… there was a Lamborghini right outside the venue. “The moment I walked up Mos Def looked at me. I met Mos Def when I was eighteen and I was on tour with Pharaoh Monch, and I’ve met him about three times since then, so I wouldn’t say we’re bredrins, but he looked at me and he started singing ‘Space Is the Place’ – the Ezra Collective version!” Ezra’s PR Ben and I look at them, stunned. “It was one of those days where you wake up the next morning and you’re not sure if it really happened,” TJ laughs capturing the mood of the room. Safe to say that life has been good to Ezra Collective recently. While the group aren’t shy about their successes, they’re not ones to rest on their laurels either. 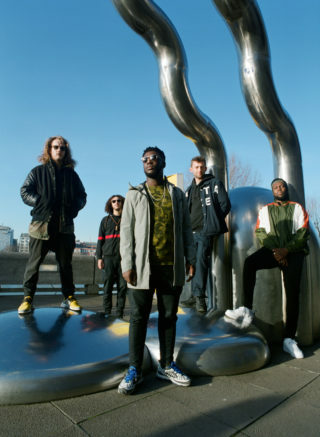 Femi, Joe, James, Dylan and TJ know as well as anyone that to make it as a young musician in London, let alone a young jazz musician in London, you have to work hard. 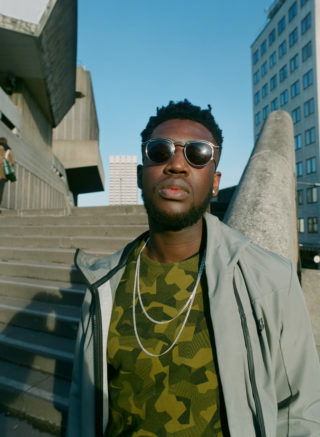 “We’ve had gigs where people are coming from three different continents to make an Ezra show,” Femi says matter-of-factly. It wasn’t until they got turned on to artists like Robert Glasper, and then later when Kendrick Lamar’s ‘To Pimp A Butterfly’ came out, that the members of Ezra Collective saw anything that resembled a template for what they wanted to do. “Glasper was playing at Ronnie Scott’s but covering J Dilla beats. That was exciting for us,” Femi says. It set the band down the road of combing their influences. “I really like ‘Caravan’, but that doesn’t mean I don’t like ‘No Security’ by Skepta, how do I get the two in the same song? That was the vibe,” he continues. Listening to ‘You Can’t Steal My Joy’ it’s hard to argue that they’ve been anything other than successful in their attempts. Whether it’s the Latin flavour of ‘Sao Paolo’ or the laid-back boom-bap of Loyle Carner collaboration ‘What Am I To Do?’, the record’s diversity is it’s strength. However, even post-TPAB it wasn’t until the group started playing live regularly that they realised there was a growing audience for their sound. “To be honest, the moment you say that you’re a jazz band and more than eight people show up, that means there are no boundaries…” Femi laughs. The hint of exasperation in his voice suggests he’s only half-joking. All of this has only served to strengthen the group and, as a result, ensure that their debut album is one of the best records to come out of the new jazz scene. ‘You Can’t Steal My Joy’ was formed over years of playing together, to audiences of all persuasions, all over the world. 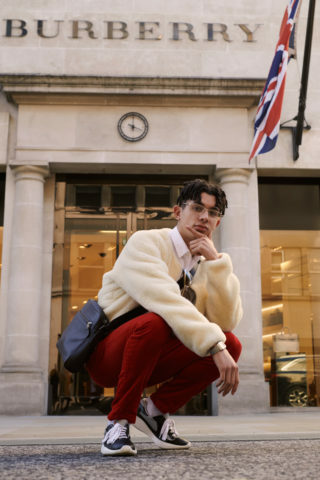 Its songs were tested in front of audiences as far away as Kazakhstan, its solos perfected in sweaty studios in Croatia, yet there’s no doubt that London is at its core. Take that closing cover of ‘Shakara’, for example; a collaboration with fellow Londoners KOKOROKO. It may have been written decades ago in Nigeria, but played by these two groups together it’s the sound of years spent practising at Tomorrow’s Warriors and evenings dedicated to blowing the roof off Steam Down. The whole idea to record the cover in the first place was born when Ezra Collective performed Fula Kuti’s most loved hits at a Church of Sound show. It’s a result and celebration of everything that makes the London jazz scene so unique right now. “Early on, someone told me you’ve got to be the most ambitious person in the room,” TJ says thoughtfully. “Was it DJ Khaled?” Joe chimes in sarcastically, prompting another howl of laughter from the band. It’s a moment that sums up Ezra Collective nicely: at once wildly ambitious but also cautious of avoiding the po-faced seriousness that has blighted jazz music for the last half-century. 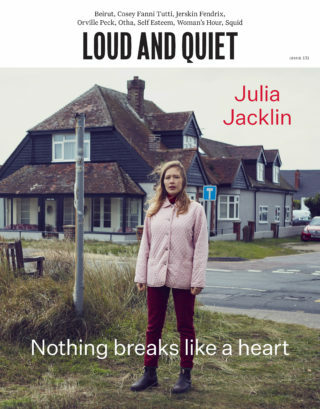 Find more Loud And Quiet cover features.